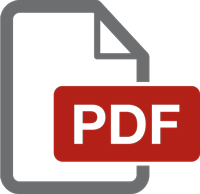 The Shifter is a drop-in replacement for your existing merge (power) brick. 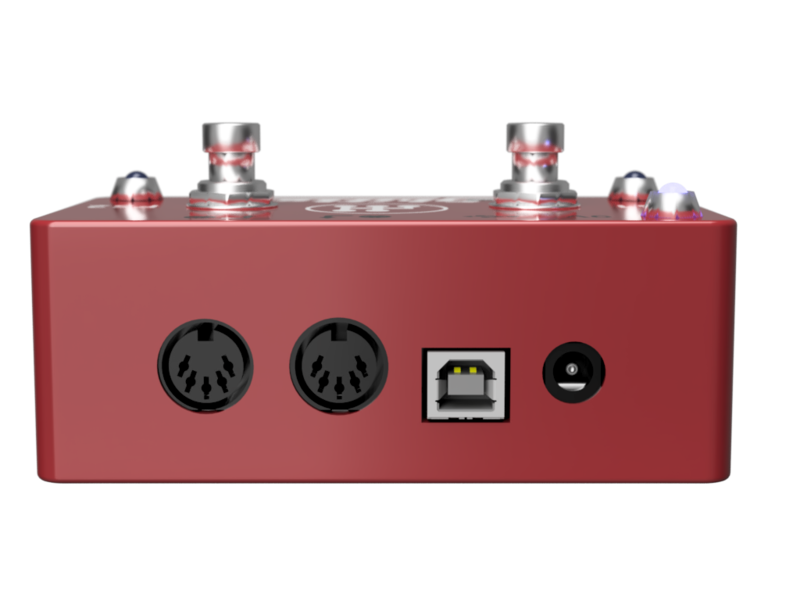 It’s a USB interface that can also eliminate the need for any external MIDI/USB converters during live performances. 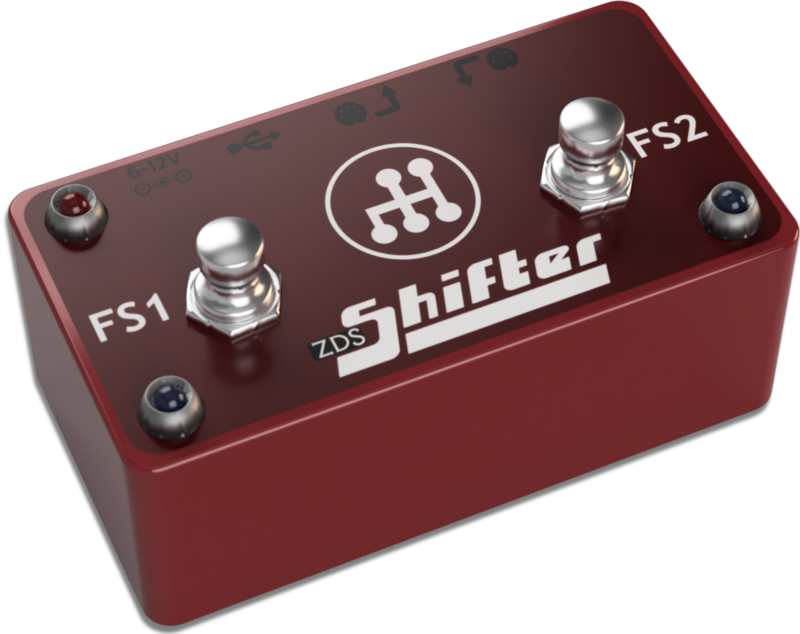 The Shifter’s two footswitches are programmable CC controls that can be set to be either latching or momentary. These can be used to either control the Shifter directly or any other MIDI device or VST in your MIDI chain. 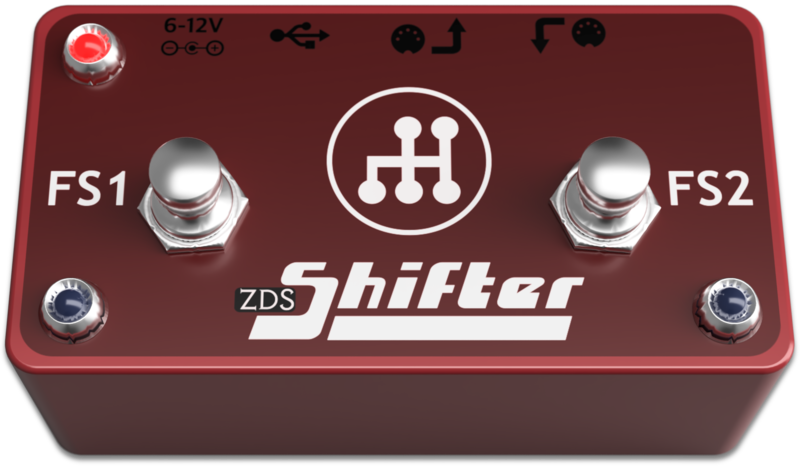 Internally the ZDS Shifter supports four groups of up to 112 “shift” entries that can be set to respond to any CC number, either generated by the footswitches, the momentary switch on your Zendrum, or any other CC device upstream of the Shifter. So what performance enhancements will you create with your ZDS Shifter? Here’re some ideas to get you started! Switch between snare hits and cross sticking. Add a set of high toms for epic roundhouse fills without gobbling up additional triggers. Melodic performance? Switch keys or octaves with the press of a button. The USB interface can also be used while performing, eliminating the need for any external MIDI/USB converters.